Live from the eClinicalWorks National Conference, Pecos Valley Medical Center joins the eCW Podcast to explain how eClinicalWorks technology — in combination with a relentless focus on training — has helped their Federally Qualified Health Center deliver quality, affordable care to all in need. The healthcare IT staff at Pecos Valley Medical Center recognize that a rural health center can retain its character and values even as it moves forward with new tools. 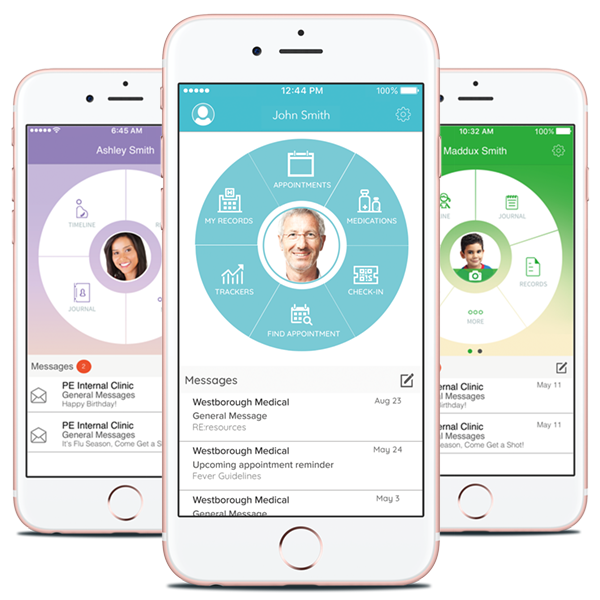 Adopting the healow family of apps for Patient Engagement has been a large part of a shift in thinking at Pecos, with providers and patients recognizing the value of faster, clearer communications. America’s health centers recognize as clearly as any healthcare providers that effective dental health cannot be separated from medical services. Providing early screening and effective oral health services to all in need will reduce healthcare costs in the long run. 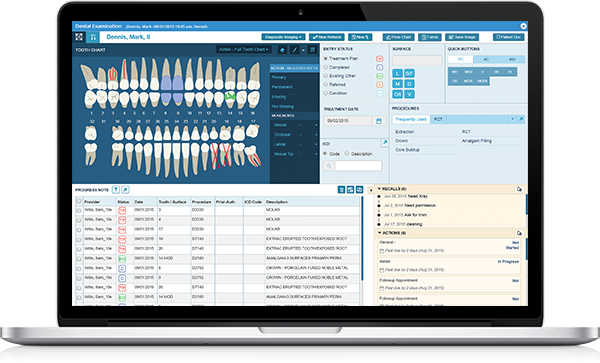 Pecos Valley Medical Center is planning to add the eClinicalWorks Electronic Dental Record, responding to providers need for a true cloud-based solution for their documentation needs. Pecos Valley Medical Center is on its way to deploying the full range of eClinicalWorks tools for effective clinical documentation and practice management, including Patient Engagement tools. 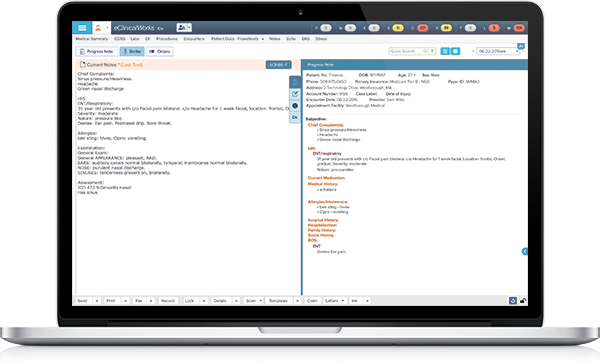 In the near future, they plan to add eClinicalWorks Scribe, which in partnership with speech-to-text software they already use will allow providers to generate accurate and comprehensive Progress Notes and complete full documentation more easily than ever. There’s strength in numbers, even small ones. Pecos Valley Medical Center sent just two staff to the 2017 eClinicalWorks National Convention, but their mission included learning all they can about Patient Portal, recognizing that strong Patient Engagement has immediate, direct benefits — reducing the workloads on clinical teams and front-desk staff — as well as lowering costs in the long term. Shankar Samlal: Good morning, ladies and gentlemen! My name is Shank, and I’m with the eClinicalWorks Podcast team. Today we have the pleasure and the privilege to speak with one of our practices, Pecos Valley Medical Center. I’m here with Ashley and Alessandro. Folks, why don’t you just introduce yourselves and tell us a little bit about your practice? 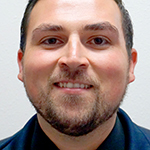 Alessandro Briancesco, Clinical Informatics Analyst: My name’s Alessandro Briancesco, I’m one of the clinical informaticists at Pecos Valley Medical Center. There’s a lot of us. You’re looking at them right here! Ashely Young: I’m Ashley Young, and I am the other part of this huge crowd of CI’s at Pecos Valley Medical Center. Shankar: Excellent! So, tell me a little bit about your practice, your clinic, maybe the types of people that you serve, your providers. Tell us just a little bit about that. Ashley: Well, our clinic is located in Pecos, New Mexico, which is southeast of Santa Fe. It’s very rural. We are pretty isolated community center. We are for many people in this area the only access to healthcare that they have. The center in some form has been in Pecos since 1975. In 1991, it became an FQHC, and this past year, 2017, we are now PCMH and HHHC accredited. Ashley: So, we’ve come a long way. Shankar: Tell me, now that we know a little bit about Pecos, what your respective roles are in this organization. Alessandro: Well, she’s the face, and I’m the magic man in the background. What I do is I do the clinical reporting, make sure we have the structured data set in place. We work together to troubleshoot and vet the system, to make sure that it’s working optimally for the end-user. Ashley: And we also develop the workflows with the providers, with the clinical team, with advice from all of the eCW help and trainings. We work in the office live with the clinical team, so we can see how it goes, and help them make good habits out of our training. And we trouble-shoot everything, and talk to the techs. We’re it. We are the eCW team at Pecos Valley Medical Center! Shankar: That’s awesome. And tell me, how long have you used eClinicalWorks, and, you know, what are some of the modules that you guys have used, are planning to use? Alessandro: I’ve been working with eClinicalWorks for three years now, only one year with Pecos Valley Medical Center at this point. Right now, we are using healow. Of course, we are using medical. We will be using the dental module shortly. So that’s going to be exciting. Our dental practice is like ‘Oh, we want to be Cloud-based! Can eCW do that?’ Yup. ‘Oh, we need to be able to pull all this data, like not just a single data element at a time. Can eCW do that?’ Yes. We’re using Dragon as well. 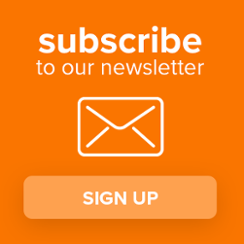 We’re going to be working with our providers to use Scribe, and we are working in 10e so that we can go ahead and start moving forward with that. Especially after hearing about what V11’s capability is, we have to be on the Cloud. Shankar: And do you guys also leverage Patient Engagement tools or anything like that in your particular area? Ashley: So, we have gotten a slow start on the Portal and healow, but now that is our current, active project. So, we’re here really, I’m here, to get as much healow and Portal information as I can, so I can bring it back and get everyone web-enabled, so we can start using the campaigns and reach out, and get people to come back in, and ease the burden on our clinical teams and front desk. Because they have to make a lot of patient contacts, so we’re looking forward to that change and shift. And we’ve had eCW since 2007. Shankar: 2007! You guys go way back. So how many Conferences have you been to, then? Alessandro: We’ve both been to three. Shankar: Oh, all right, all right. Excellent. Alessandro: Orlando, Nashville and Dallas. Two health summits as well. Shankar: Any lessons learned from prior Conferences, in terms of how to handle this much volume of information, digesting that, making that palatable. And that kind of leads me to my other question in terms of one challenge that many practices have is simply how do they stay current with the information, with the new features, and then, you now, one thing is the knowledge, the second is, imparting that knowledge on your providers and your staff members. So how do you guys stay current and distribute that information within your organization? Alessandro: Well, I think about my first Conference that I went to, in Nashville. I tried to get everything and anything that I could. That didn’t work out too well. Because, like ‘Oh, we need to do this, and we need to do this, and we need to do this!’ So, at each session that I go to, that we go to, we made it a goal to at least get three key points out of them, so that we can bring that back to the clinic. Ashley: I think one of the things that we’ve learned coming here, is that it actually is important to stay on your track, and then get a focus. The first time, I wanted everything. I wanted to go to five sessions every hour. That’s really not possible. So, just that sort of I guess, self-control with the session planning, and just try to come here with one information goal. We are the only two here, so it would obviously benefit places that can send more than a couple of people, so each person can have their own track. But I think we’re here to get as much as we can, but not skip anything if it’s possible. Alessandro: And so, to answer your question about how we stay current, as well, I mean eCW has tons of knowledge on my.eclinicalworks.com. I push that all the time with my providers. There’s webinars all the time to stay current. So, we’ll go through those webinars. And then we have biweekly trainings with all of our staff, to show them what we’ve learned, and how we can further utilize the system, as well as one-on-one training weekly. Shankar: Excellent. And, I mean, for your organization, it probably comes with a specific set of challenges. In your experience, maybe what some of those have been — it could be growth, it could be just being in a rural area, that outreach. But what might have been some of those, and how did you guys handle that, or continue to handle that? Alessandro: Well, the first thing that I saw when I got there, was the mindset was that Pecos is rural, we’re going to keep it rural. Well, as the community, we’re not affected by everyone else. But the more that we’re showing people how to use the system, even our engagement with the patients with healow, Portal, Messenger, they’re realizing that change is good. And they’re able to communicate with us a lot faster, a lot better. We don’t have as many refills pending as we used to before. We don’t have as many angry patients trying to get ahold of us for their medications and whatnot. That was a huge thing for us. Shankar: No, that makes sense. Any advice that you would give fellow FQHC practices in terms of how you might go about — essentially lessons learned from your experience — because you guys go way back with us. Ashley: Well, I think the biggest, strongest lesson is that you just have to ask for help, because eCW has so much great support. 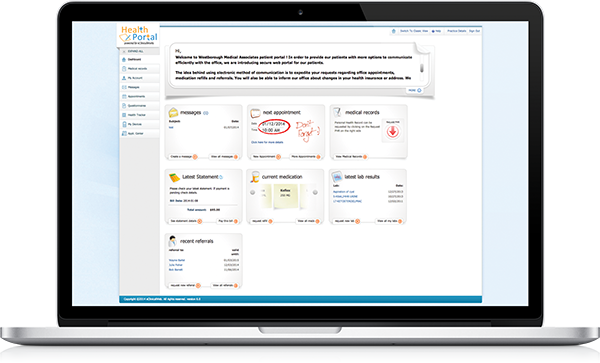 And I think it was underutilized for the first 10 years of our eClinicalWorks practice. So, Alessandro and I are on the phone, we are on chat, we are here. The help is everywhere. So, if anyone has a question, we can get right to it. And we had an extraordinary visit from a practice management trainer, who came out last fall. May I say her name? Dianne Showalter was amazing! And by lunch on her first day, she said ‘You are in too much trouble, I can’t help you in one week. I need to stay two weeks!’ And it wasn’t optional, it wasn’t a request. It was, ‘I’m booking my plane, I’ll be back also next Monday.’ And as a result, we overhauled pretty much every piece of our billing practice. And our sliding fee works. Our fee schedule is updated. Our x-rays are paid for. Our claims split. Patients get bills. Nobody gets shaken down at the front desk for cash if they’re on a sliding fee. And just having her there to look into all the places in the system that were not really well managed or even understood — the difference has been extraordinary. And getting that fixed then has allowed Alessandro and I to move to what I call the frosting, after we’ve spent all these years baking the cake in the background, so that our users can see it. And now we can reach out and show the patients what we have, and hopefully everyone will just get a little happier. But the help, the help is there. It’s just there. And our team is awesome, our SAM is awesome. Ashley: We’re like a big old fan club here! Shankar: And speaking of frosting on the cake, I know one of the anticipated things, as you know, tonight — you guys are going to be at that party, am I right? Shankar: Most definitely, he says. Alessandro: I’ll be on the dance floor making a fool of myself. Ashley: I’ll be taking pictures of Alessandro making a fool of himself. Shankar: The gauntlet has been thrown! We’re going to see you on the dance floor! Well, folks, thank you so much for all that you guys have imparted. I think for a lot of practices that are out there, one of the big reasons that folks come here to begin with is just to network. Because they know, day to day you operate in your bubble, in your community, and you don’t know what’s going out there. And there’s so much that can be learned outside of these sessions as well, just by having lunch, and talking to your neighbor, and figuring out ‘Oh, you guys do this?’ Or ‘Hey, this is the same struggle that we had.’ And I think you guys helped and this is kind of a forum for you to get your word out there and interact. Well, I must thank both of you so much. You guys had nerves of steel to come up here and speak in front of — I’m assuming this crowd is thousands! So, thank you all, so much. This has been an eClinicalWorks Podcast special. And make sure and check out the Podcast channel on YouTube. That’s the eClinicalWorks YouTube Podcast. Thanks from all of us here, and we look to see you. Don’t be a stranger, say hello, and have a wonderful session. Take care, guys!